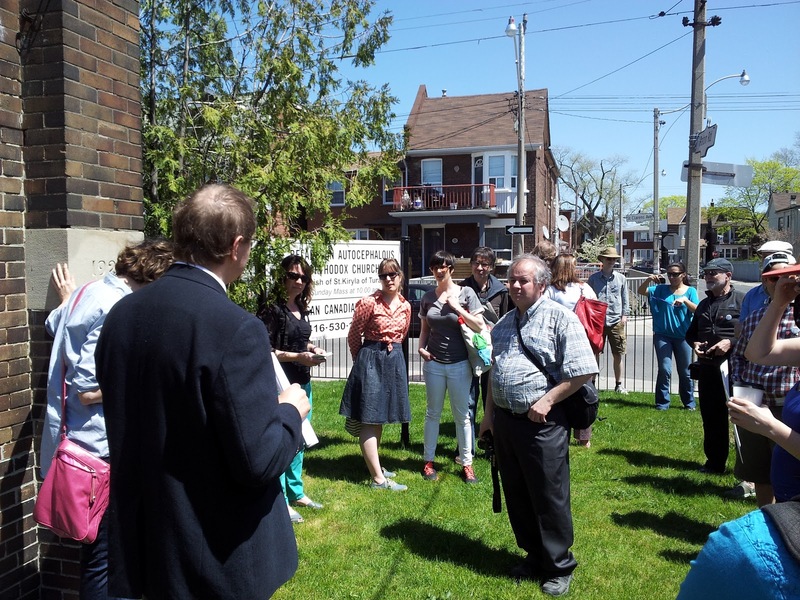 I like to send out a big THANK YOU to everyone who participated in the inaugural Doors Open Davenport as part of Janes Walk 2013. Thank you to those who came from within and outside our ward. It was great to meet each of you. We hope you like the hospitality in Ward 18 and decide to move here. Thank you to the owners and representatives of the buildings who literally opened their doors and welcomed us - the Belarusian Church, the Academy of the Impossible, Metropolis, Arsenal/Galerie Division and Castlepoint. Thank you to all the park staff and volunteers for preparing a fabulous meal which was a much-needed treat after an afternoon in the hot sun. Thank you to everyone in Councillor Bailao's, MPP Schein's and MP Cash's offices who supported this event from the beginning and who were able to squeeze in this event into an already packed schedule. Thank you of course to the team who pulled this all together. Of course, without your hosting, researching, writing, graphic design, flyering and organizational skills this event wouldn't have happened. It is because of all of you that we live in the best Ward in Toronto.